For nearly 35 years, GALA Choruses has been a critical partner in creating and sustaining the LGBTQ choral movement. Many voices around the world are preaching hate and violence appealing to people's basest instincts. We will not allow the progress we have struggled to achieve to be taken away and we will not stand silently and allow hate to become the new normal. We will lift our voices with pride and power. Our power comes from a message delivered through song – a message of hope and love that can defeat hate and fear. The programs and initiatives described in our annual report will cost far more than our annual membership dues and the proceeds from festival. We are asking you to consider a gift of $35 per month for 12 months to our 35th anniversary fundraising campaign. Our campaign goal of $100,000 will allow us to execute the programs described in the report. Please invest in GALA so we can continue to invest in a future where all voices are free. If you wish to make a monthly donation and do not want to use PayPal please contact Robin Godfrey at executivedirector [at] galachoruses.org. Checks payable to GALA Choruses can be mailed to P.O. Box 99998, Pittsburgh, PA 15233. If you are a US citizen, your contribution is tax-deductible to the extent allowed by law. No goods or services were received that would reduce the deductible amount of your donation; therefore, the full amount may be deductible for charitable purposes. Please consult a tax professional. GALA Choruses is a 501(c)(3) organization. A copy of our determination letter is available upon request. The full amount of your donation may be deductible for charitable purposes. 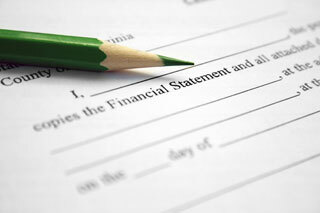 GALA's most recent financial statements and IRS filings can be found at Finances. Please contact Executive Director, executivedirector [at] galachoruses.org (Robin Godfrey) with any questions about individual donations.